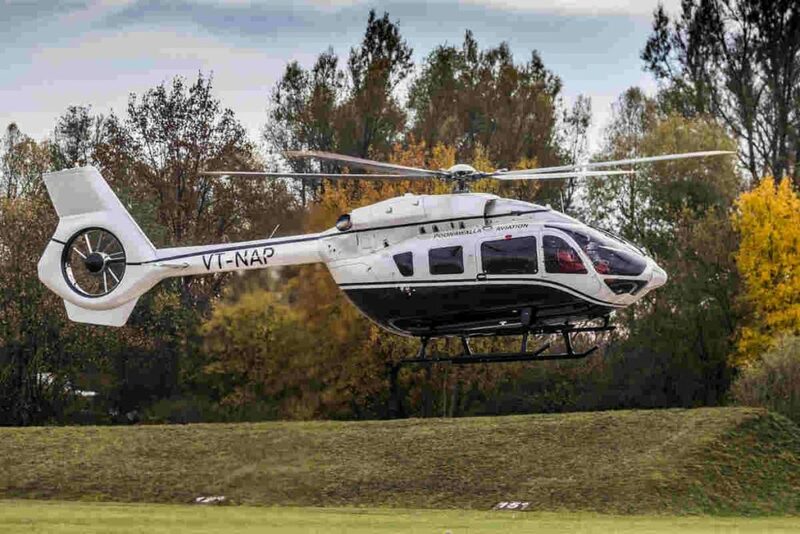 Airbus Corporate Helicopters has delivered India’s first customized ACH145 aircraft to Adar Poonawalla, CEO and executive director of Serum Institute of India, described as the world’s largest vaccine manufacturer by doses. Expected to fly by the end of January, this marks the entry of the twin-engine helicopter into India’s private and business aviation market. “Airbus is the market leader in civil helicopters in India. Our VIP customers come to Airbus Helicopters for unparalleled quality and a bespoke experience,” said Anand Stanley, president and managing director, Airbus India & South Asia. The helicopter’s cabin can seat up to eight in ACH Line, ACH Mercedes Benz Style or ACH bespoke versions. The ACH145 features Airbus Helicopters’ Helionix avionics, including a standard 4-axis digital Automatic Flight Control System for reduced pilot workload. Airbus explains its Fenestron enclosed tail rotor dramatically reduces noise levels, while the Turbomeca Arriel2E engines, with dual channel FADEC, generate 951 shaft horsepower for take-off and allow improved hover and one-engine inoperative performance, as well as increased maximum gross weight capability.